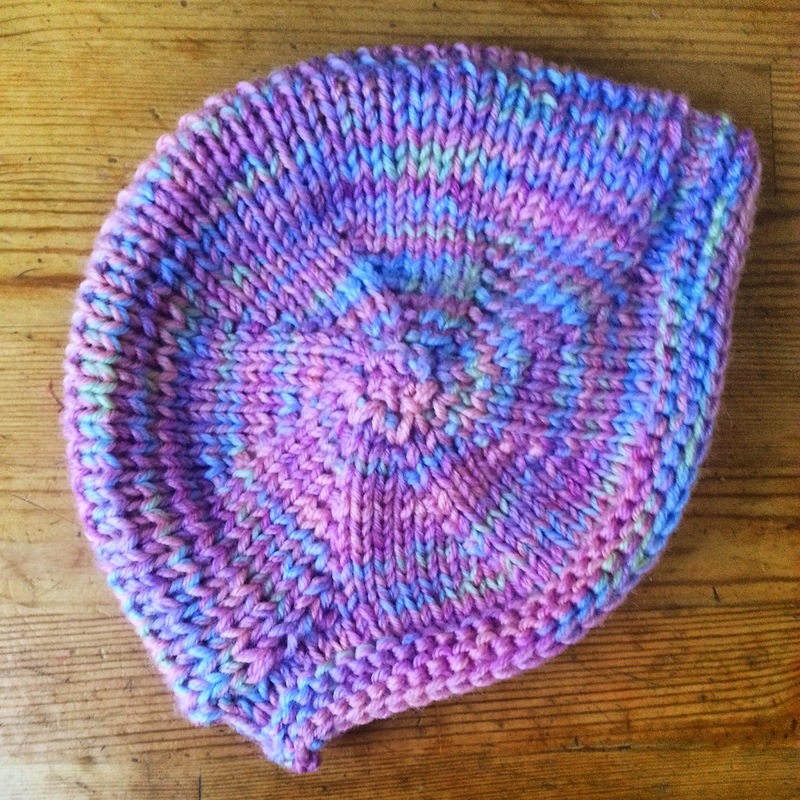 My little pickle requested a pink and purple hat, and I happened to find some cascade220 superwash in exactly those colours. I've had my eye on the stella hat for a while now and thought it would be sweet. It ended up being a touch small for her, but I was able to add a few rows here and there to get a little more room out of it. I'll be making this one again for her, but definitely one size up. This was a really fast knit, (yarn is held double) and it only took about 2 hours, which I was happy to knit during a middle-of-the-night bout of insomnia. I always get insomnia out of nowhere towards the end of pregnancy, and feel like if I'm going to be just laying there awake, I may as well DO something. She loves her little hat, and the way it hugs her cheeks makes them look even chubbier and that much more kissable. She was so excited about it that I could barely keep her holding still for the two seconds it took to take the picture. Sorry about the blur. 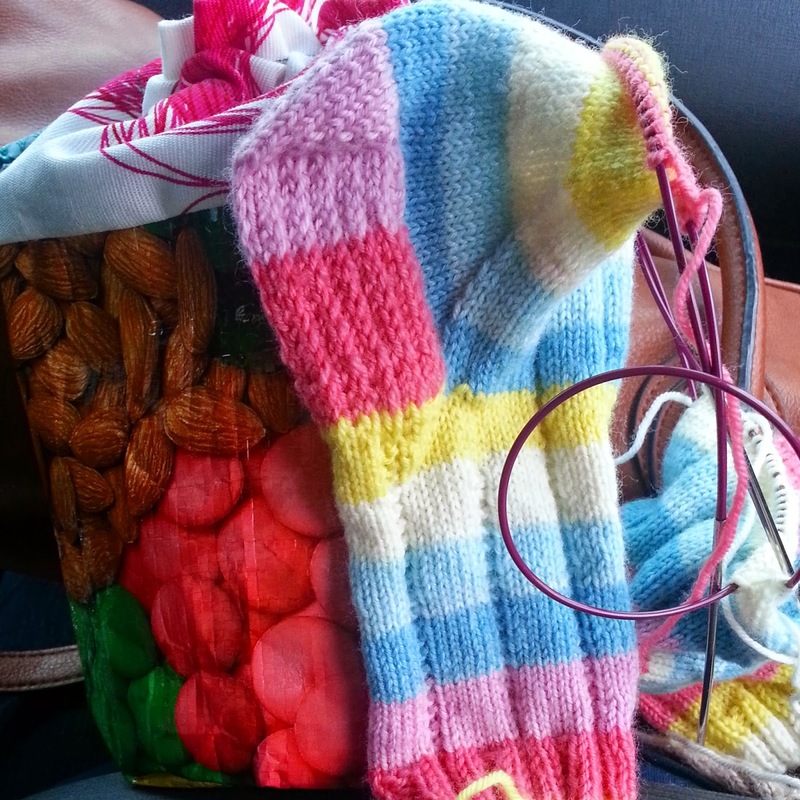 My socks are still a work in progress-I've really only been knitting them while i'm away from home (which isn't too often) because they're so wonderfully portable. I always like to keep a portable project in my purse. This makes small things seem to take forever though, If i'm only working on them here and there. I'm going to bring them to knitting night tonight though and hopefully get through the rest of the foot. I have some more yarn and a new sock pattern (toe up with a fish lips kiss heel) than i'm really eager to try-but won't dare cast on until these are finished. I'm weird like that, I guess. P.S:This last month has been a bit of a technical nightmare...My phone was out of order for a good few weeks so I wasn't able to take as many photos as I normally do (or use instagram. so SAD). I also just realized that I had about 9 unpublished comments from last week's yarn along that I didn't even know were there until today. I'm so sorry. I feel like a royal idiot. Normally I get some emails that tell me comments need published, so I'm not sure what happened. But really, these are all first world problems, so life is good. 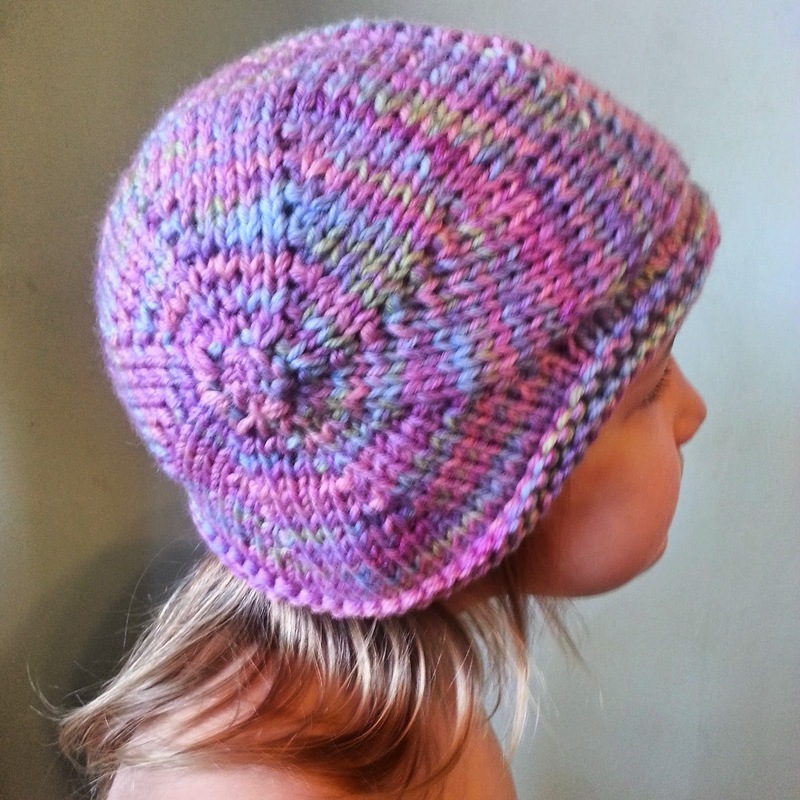 I love the hat - that swirl pattern is just perfect for a little girl! That Stella hat really looks great! It has something vintage to it. I really love it. 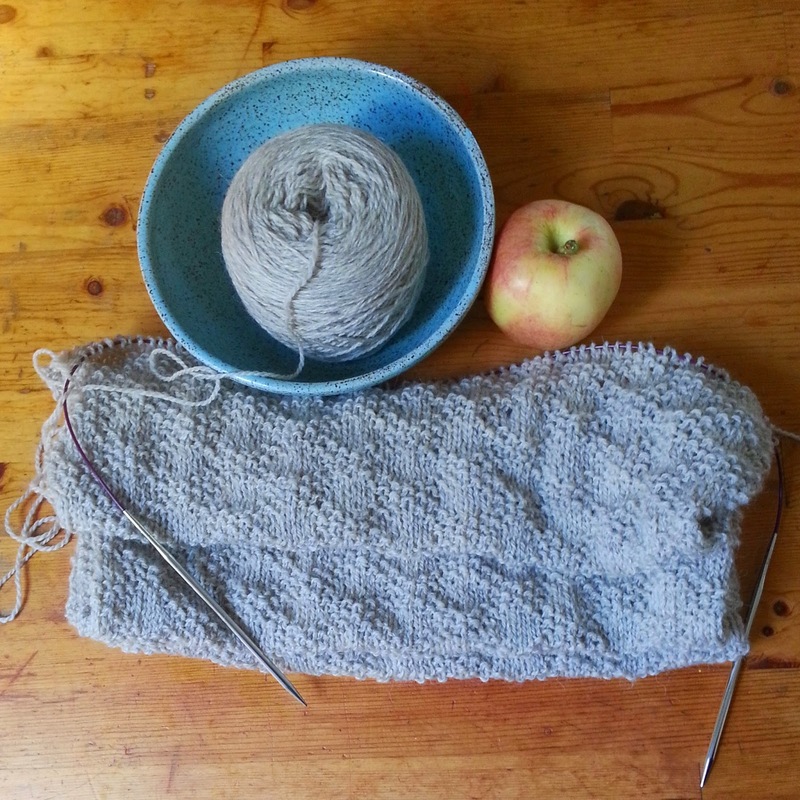 The pattern and the color of the yarn work beautifully together! Wow, that hat really looks amazing - so unique and well fitted! Hope the scarf is done soon, all those back and forward rows can get a little tedious but so worth it at the end. Cute hat and lovely socks. Love your little hat for your daughter. It's adorable. I do hate technology nightmares! Good luck with your pregnancy. I might have to do that hat. It's too cute! hope you get your tech stuff sorted out! I hate when that stuff happens. Love the hat so cute and the design is quite unique! I think your hat is even cuter than the ones on the project page! The yarn is really perfect for the pattern and I would totally love to replicate it exactly for my little chubby cheeked punkins. I hear ya on the insomnia - that always happens to me too!